7th Harvest Investments was founded in 2006 by Earl Jefferson, a Certified Financial Planner™ practitioner and investment advisor with more than 20 years of industry experience. He started 7th Harvest Investments with one goal in mind: To simplify the investment process through time tested principles, transparency, and cost efficiency. 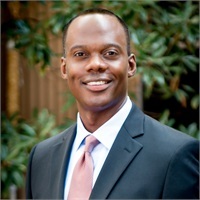 As a graduate of the University of Houston, Earl holds Bachelor of Science Degrees in Economics and Psychology in addition to carrying the Certified Financial Planner™ professional designation. In his free time, Earl enjoys spending time with his family, reading and traveling. He has also taught as an adjunct instructor at Southern Methodist University.